Congratulations to Dark Souls 2 for taking home the 2014 Golden Fitty award for Best AAA Game here at Co-Optimus. Our favorite game of last year is getting a bit of a face lift with The Scholar of the First Sin edition, due out on Xbox One, 360, PS3, PS4, and PC sometime this April. Packing in all three DLC's, as well as some new goodies, this definitive issue of DSII is being primed to totally wreck us and our brave undead cohorts with a new patch launching on February 5th. Added new character, The Scholar of the First Sin. Players will gain access to a new item: The Agape Ring. When players equip the new Agape Ring, souls collected from kills during online play will be absorbed by the ring rather than the player. 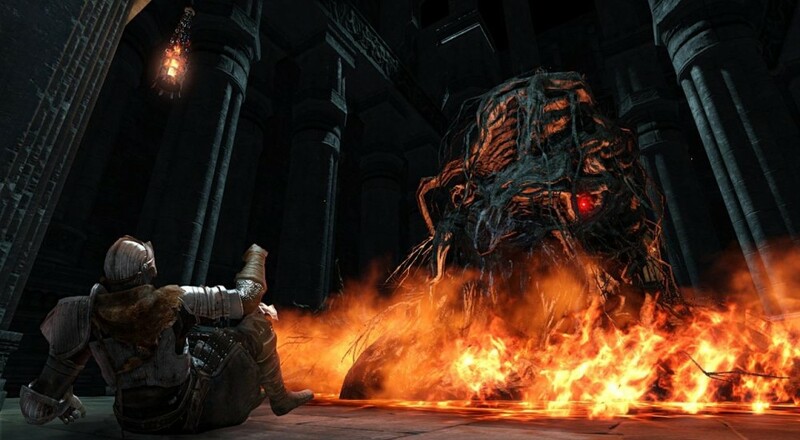 This allows players to control their online matchmaking experience by limiting their total souls collected. White Phantoms will remain in other players' worlds for longer periods of time. White phantoms will no longer return to their world if time runs out during a boss battle. Made it easier for players to match online in general. The update is free for all players of the game, and offers a fun boost of interest before Scholar pops out to rough us up even further this April. You can check out the entirety of the patch on Bandai Namco America's Tumblr. The majority of criticism for DSII (on this website, at least) seems to stem from the difficulty of getting together with your personal friends to rampage through a dungeon. Judging by the patch notes, that's one of their primary focuses of concern. Let's hope this patch makes the ability to summon your homies as painless as possible. Page created in 0.2393 seconds.